thats me! cute, one might call. i say chubby. all the cute baby qualities i had, some incorporated in me by my doting mother. oh how i love her. she is such a joy. sometimes she does get a little cranky about things, but whats a good mother-daughter thingy without a little tantrum throwing! inspite of me bring the rebel, wanting to live life on my terms, she has regarded me as a model daughter throughout. she has had her doubts clarified eventually and realised the one fact that her daughter ain’t gonna give up easily no matter what. i have come to appreciate hard work because of her belief in it. i feel comforted in her lap (yes, i still sleep in her lap ‘the maa ki godhi’). i glow when my relatives tell me that i look so much like my mother, of course i should, i am her daughter after all. mum supports me when i need it the most, scolds me when i deserve it the most. though i never admit it in front of her, i dunno what i would have done without her in my life. i argue and fight with her quite often now that i am starting to grow ‘big’ (in my ma’s words) but thats just how we are. she knows me and i know her. i am her punching bag when she needs to let her frustartion out and she is my teddy bear when i wanna cry. 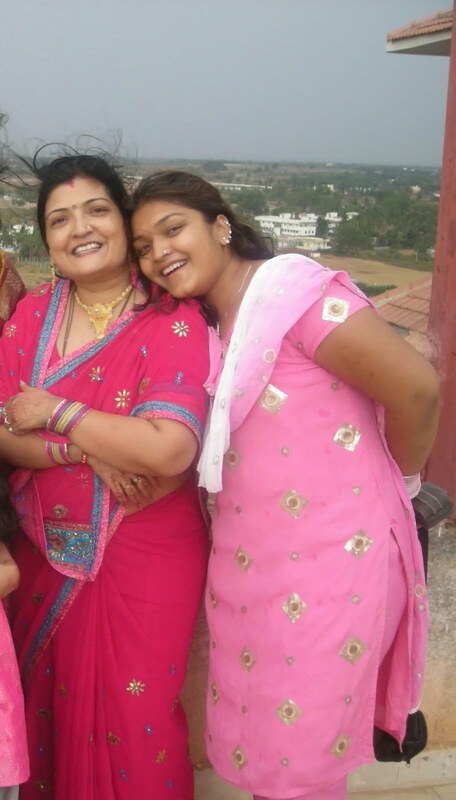 i have never told her this but i mean it deeply – I LOVE YOU MUM!